Recent torrential rains that have soaked much of the Southeast, submerging fields and wiping out crops, have drawn comparisons to a natural disaster from South Carolina’s governor, according to a recent Star Tribune article. 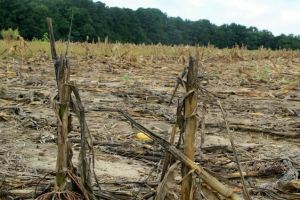 According to the article, crop damage has exceeded 30% in 36 of South Carolina’s 42 counties, leading Haley to write to U.S. Agriculture Secretary Tom Vilsack with a request that the state be declared a disaster area. This would not be a rare occurrence in 2013, as earlier in the summer, 24 Wisconsin counties were designated as disaster areas by the USDA due to losses suffered during harsh weather. Submerged crops and devastated fields caused by torrential rains in the Southeast have led South Carolina’s governor to believe the area is in disastrous condition for agriculture, comparable to other natural disasters, according to the Star Tribune article.